Home / غير مصنف / Avengers Infinity War NEW trailer coming THIS week? Avengers Infinity War NEW trailer coming THIS week? Fans had pinned their hopes on this past Monday evening when Marvel stars appeared on Entertainment Tonight. However, Marvel and Disney have a major track record of launching new trailers early in the day, usually on Good Morning America. When a fan recently begged Marvel co-president Louis D'Esposito to release the latest trailer immediately, he was given a tantalising answer. The fan posted: “If you don't give us the Infinity Trailer 2 right now I'll throw a moon at you.” This refers to the terrifying sight of Thanos hurling an actual moon through the sky. Although this is encouraging, it is still vague, but US fan sites are starting to report that the new trailer will arrive at the end of this week as a strategic way to try and help the latest Disney cinema release which is struggling. A Wrinkle in Time opened last weekend in the US and stars Oprah Winfrey, Chris Pratt and Reece Witherspoon. Despite a major budget, the movie had been dogged with rumours that it was unlikley to please critics or audiences. Reviews have been poor and it has only taken $40million so far domestically. 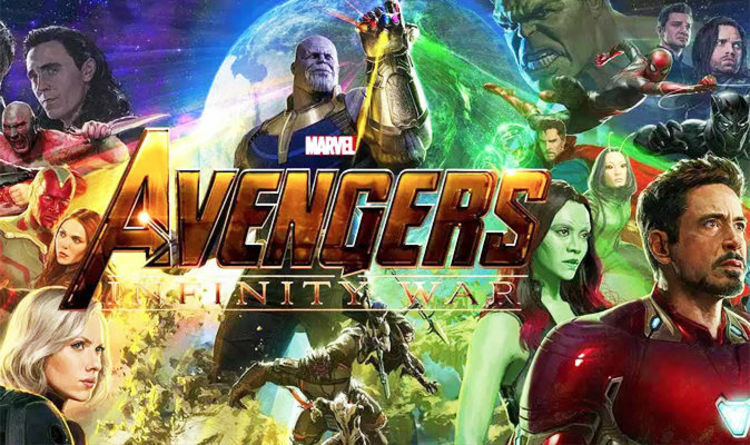 It would make perfect sense for Disney, which owns Marvel, to release the Avengers 2 trailer to reestablish its pop culture and social media preeminece and maybe also tempt wavering audiences to the cinema. A WRINKLE IN TIME IS OUT IN THE UK ON MARCH 23.